Bigger is better? 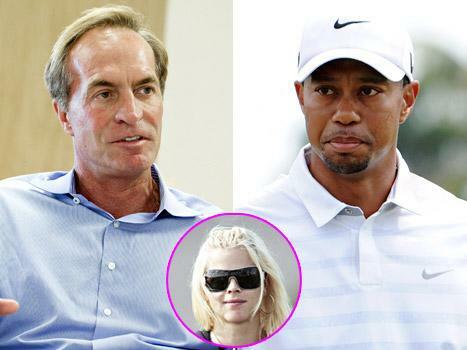 Elin Nordegren's rumored new boyfriend Chris Cline's yacht was photographed moored directly in front of ex-husband Tiger Woods' yacht on Monday, March 18 on Florida's Jupiter Island -- and it's quite a bit bigger! According to TMZ, Cline's yacht, named Mine Games, is 164 feet, while Woods' boat, Privacy, is 155 feet. Nordegren, 33, began dating Cline, 53, over the holidays, The New York Post's Page Six reported. Cline is the owner of coal producer Foresight Energy and is worth a reported $1.2 billion. He owns a mansion in North Palm Beach, Fla., where Nordegren has been renovating a mansion of her own. The Swedish former model and Woods, 37 -- who are parents to kids Sam, 5, and Charlie, 4 -- divorced in 2010 following his very public cheating scandal. Woods announced in a statement and couple portrait photos on Monday that he is dating Olympic skier Lindsey Vonn, 28. "Lindsey and I have been friends for some time, but over the last few months we have become very close and are now dating," he wrote on his Facebook page. Vonn also wrote on her page, "I guess it wasn't a well-kept secret but yes, I am dating Tiger Woods." Last week, the couple was photographed enjoying some quality time together on Woods' yacht.